Taiwan Experience: For a second year, WAI was a catalyst in providing four students the opportunity to enrich their lives outside the classroom by being a part of a sixteen day exchange program in Taipei, Taiwan. Teaching Life Skills: Withrow has 24 students who are identified as Multiple Disabled. Academic learning is emphasized in the classroom; but as the students enter their last two years, it’s essential for the program to develop vocational and life skills to prepare them for a successful and productive future. Toward this end, Intervention Specialist Jerry Moore has initiated the “Tiger Diner” opened eight Fridays in the 1st semester with meals being served to different Withrow staff groups in the Media Center (the Lunchroom to those premid-70’s graduates). An enthusiastic group of 8 Juniors and Seniors are learning the roles of being greeters, servers, and cooks. An auxiliary benefit is the creation of an enjoyable communal team-building activity for all. Meals are free to the Staff; but tips are encouraged, which are applied to future student activities and training. WAI eagerly responded to a request for financial assistance in the purchase of necessary food items and supplies. 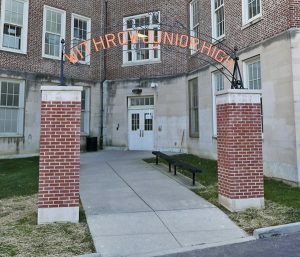 Junior High Arch Restoration and Installation: Restoration of the 1938 Junior High arch, construction of brick columns near the Junior High entrance and arch installation are now complete. Under the expert guidance of Board Member Dave Blocksom, the project will come in under the original $17,500 cost estimate and be another campus landmark link to the past. 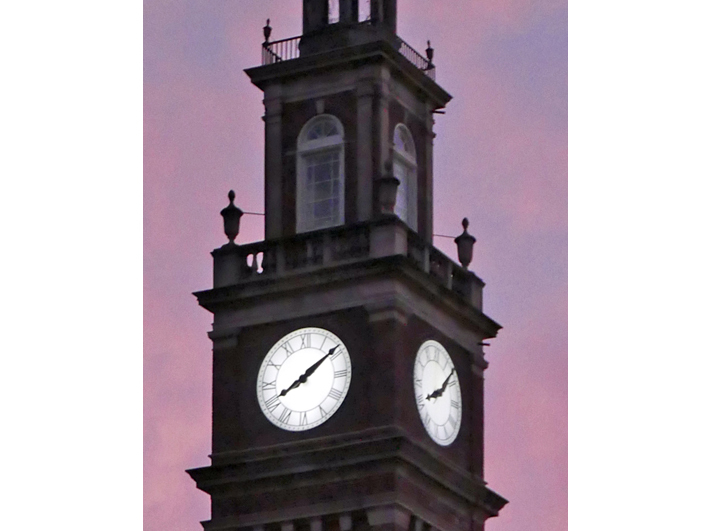 Clock Tower Lights: This majestic Withrow symbol will continue to radiantly shine at night thanks to many Alumni donations in support of this endeavor with SPECIAL THANKS to Ike Misali ’50 for his generous gift. Reading Center Volunteers: The second year of the Reading Center will be staffed 3 days each week during all lunch bells thanks to the committed efforts of Board Member Bob Linnenberg ’63, Christy McTigue Backley ’66, and Alphonzo Early ‘73. The Center’s collection of books increased by 20% over the summer with donations from various Friends of the Library groups. If you wish to donate to any of the above or other Alumni Assn. ongoing projects, please click HERE.